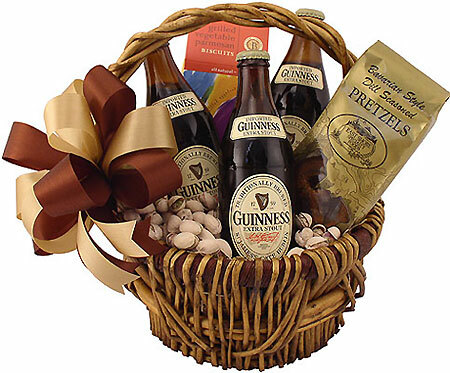 When you can't get there to enjoy the ups and downs of life with someone special, there's always a bottle of Guinness to transport you there in spirit. My belated husband's friend did me a humongous favor by helping my college-aged son when he & his buddy did not put on their snow chains after a day of skiing. They were going to only visit my husband's friend and proceeded to slide off the road that leads into this friend's neighborhood in Lake Tahoe! It just started to snow that day but had snowed prior so the roads were icy. The friend not only spent 3 hours getting the car out of the ditch, but put them up for TWO nights because my son's car had a radiator leak. This occurred on a Saturday! Then this same friend drove them 1 and 1/2 hours one way to the exact place that had the part needed and drive back so the mechanic could have that part on Monday morning! Needless to say, my son & his friend were able to drive back 5 hours to San Jose State by noon on Monday! So I really owed this friend BIG TIME! 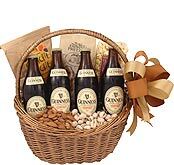 Since my son mentioned Guinness Beer was in the fridge, this gift was a smashing success! A true thank you from my heart! I live in CA and a good freind of mine lives in MI. His B-day is Cinco De Mayo What to get?? This is a great idea He got it a day late but that was my fault not BeerGifts. He enjoyed the beer and the snacks. Good value too. I will use BeerGifts again! Hi< I was really happy with the idea- but the basket design was very different from what was pictured- the basket it came in was not as nice. Also, the snacks were a little different. Otherwise happy. 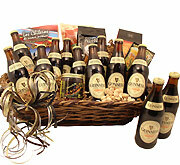 I ordered this gift basket for my husband and he loved it! Shipment came earlier, which was even better. Very happy with this purchase. I sent this to a friend. They loved it. I was very pleased with their customer service. They were very helpful. 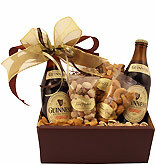 Nice presentation of the gift.. everything looks great.. and what's not to love with a few Guiness's..